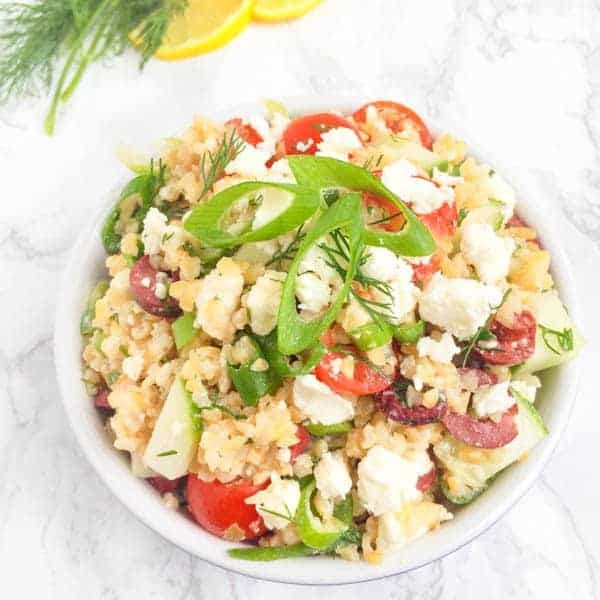 This whole grain Bulgur Wheat Greek Salad is full of crunchy veggies, creamy feta and kalamata olives then dressed in a fresh lemon-dill vinaigrette. Bulgur wheat is a staple in Middle Eastern cuisine and was frequently on our dinner table growing up. Similar to rice, it cooks in just 15 minutes and uses the same 2:1 ratio (2 cups liquid for every 1 cup bulgur wheat.) For added flavor, my mom always prepared it with chicken broth instead of water which is how I now prepare it for my kids. If you’re not familiar, bulgur wheat is made from whole grain soft white wheat that has been parboiled, dried and cracked. Since it is a whole grain you get a lot of nutritional bang for your buck due to the natural fiber, protein and other minerals provided in each serving. Of course, that’s not the reason we eat it. We eat it because it’s delicious. Way more texture and flavor than brown rice or quinoa in my opinion. For a side dish or salad I typically use a #2 medium grind like this Bob’s Red Mill Golden Bulgur but there is also fine bulgur wheat which is great for a softer texture for dishes like tabbouleh or baked kibbeh. Whenever I attend a family gathering or get together with friends, I love to bring a whole grain salad using whatever fruits and veggies are in season. Whether it’s apples in the fall, butternut squash in the winter or asparagus in the spring, people always seem to appreciate a healthy dish at a party. This Bulgur Wheat Greek Salad was a huge hit at two different backyard BBQ’s recently. The fresh herbs, crispy vegetables and creamy feta are the perfect balance to grilled meats, burgers and brats. 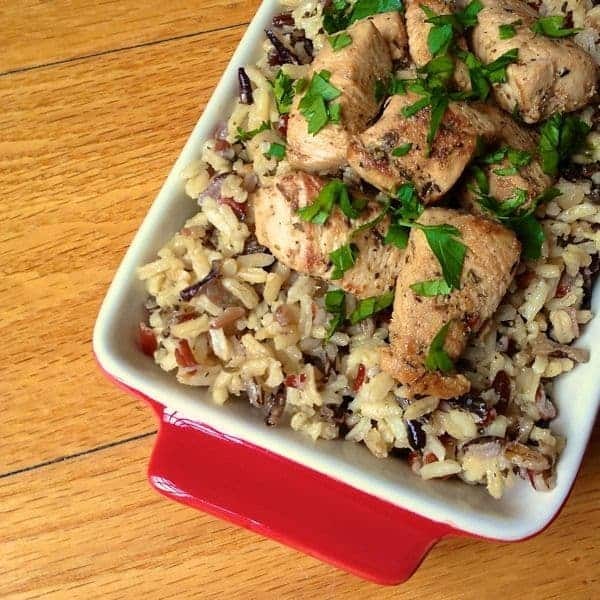 Leftovers are perfect for lunch with chickpeas or grilled chicken for added protein. 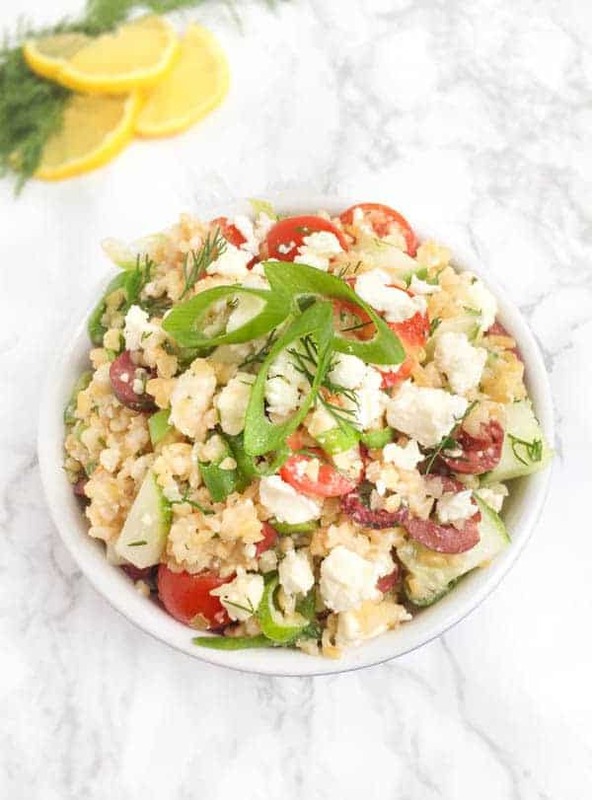 This whole grain Bulgur Wheat Greek Salad full of crunchy veggies, creamy feta and kalamata olives is dressed in a fresh and tangy lemon-dill vinaigrette. Place bulgur wheat and chicken broth in a small stock pot and bring to a boil. Cover with lid and reduce heat to low. Cook until liquid is absorbed, 15 minutes. Fluff with a fork and place wheat in a large bowl to cool slightly. Add all remaining ingredients to the bowl and toss gently with the bulgur wheat. Season with salt and pepper to taste. If you don't plan to eat immediately, you may wish to reserve a bit of the lemon juice and olive oil to dress the dish before serving. Otherwise, the bulgur wheat will absorb some of the vinaigrette over time. Can be stored in an air-tight refrigerated container for up to 7 days. Disclosure: I am honored to be a Brand Ambassador for Bob’s Red Mill. Thank you for supporting the companies that make The Lemon Bowl possible. All thoughts are my own. For more Satisfying Salad Recipes pin from here! Yet another whole grain salad I want to make. Thanks for posting this. I hope you love it Susan!!! 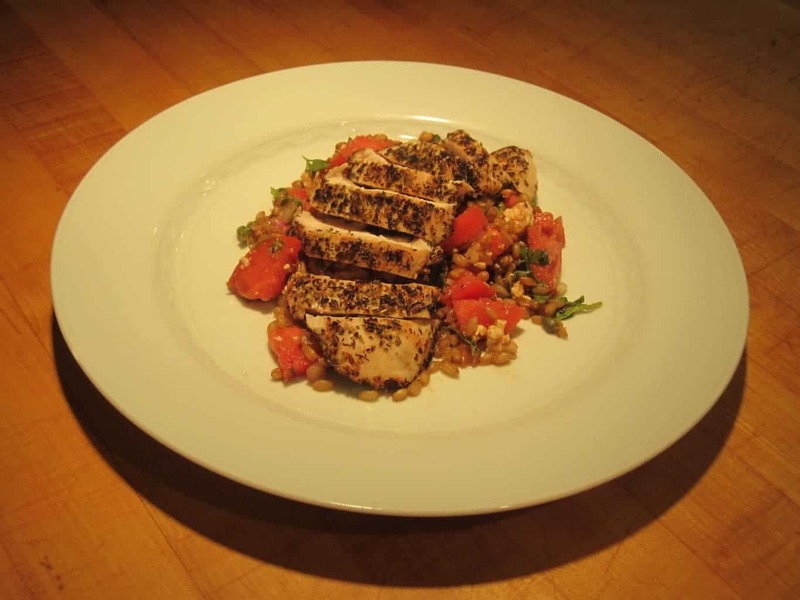 Great flavors – and love the bulgur wheat! Thank you girl! Freshness for summer! I have a fresh bag of bulgar I just picked up! Hooray!! And like THREE packages of feta in the fridge, don’t ask, so I guess I know what I’m making this weekend! I haven’t had a bite yet, but I love this salad already! 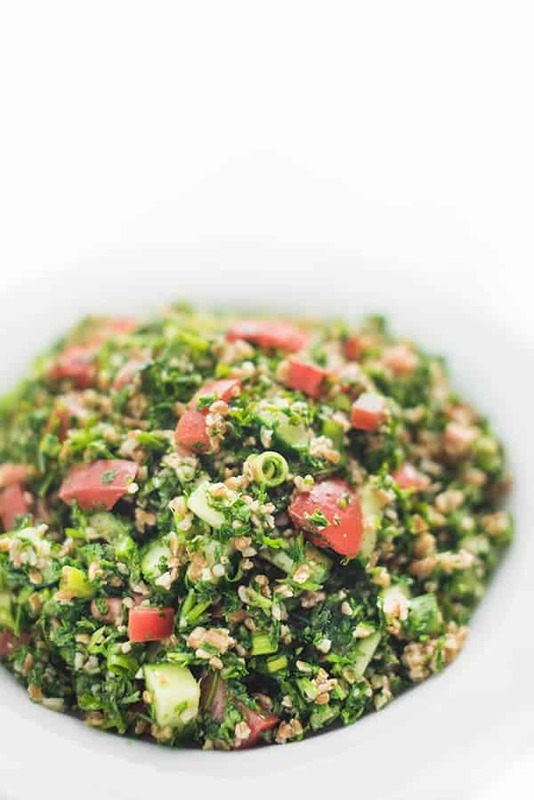 I’m such a huge fan of bulgar wheat, and I bet your tabbouleh salad is amazing! And that lemon-dill vinaigrette?! TO DIE FOR! I hope you make it girl!! What a refrehsing summer salad! 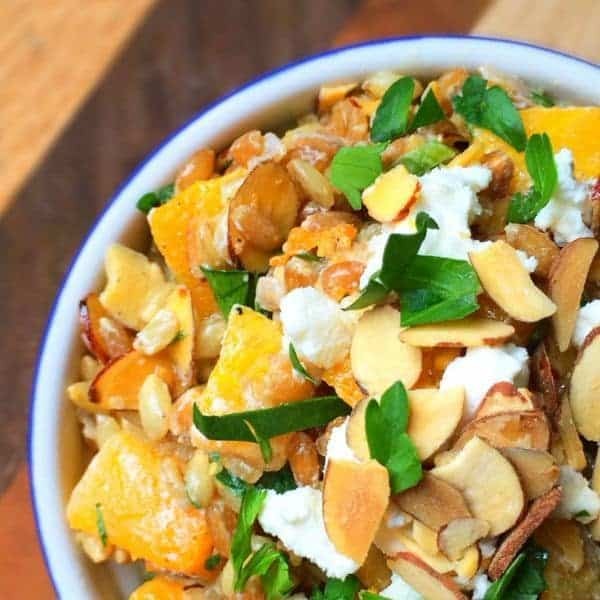 We do not eat nearly enough bulgur at our house, which is going to change when I make this tasty salad. Love the Greek salad flavors! 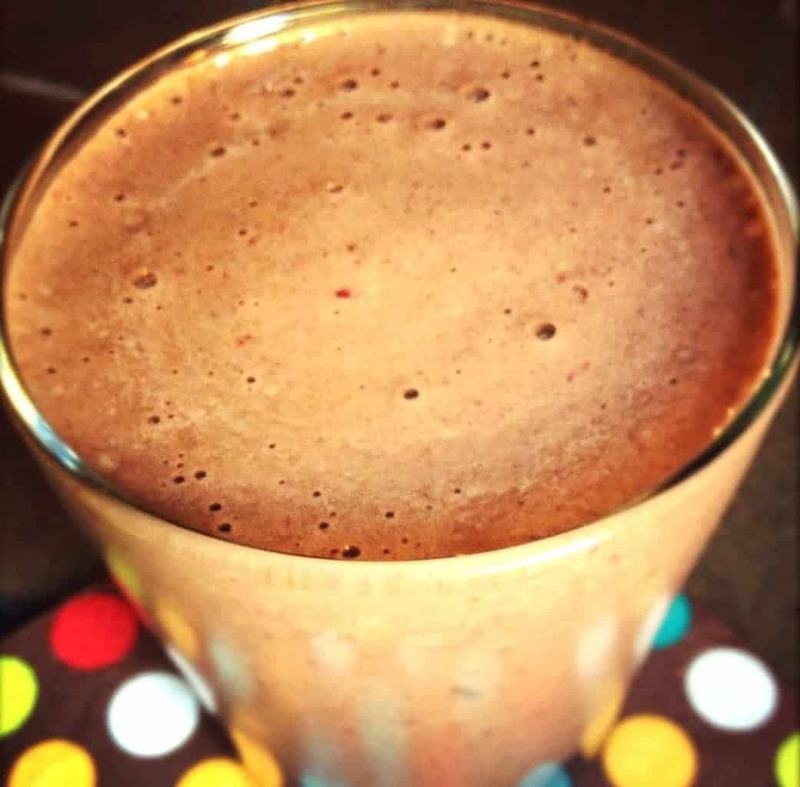 It is so good – I’ve been trying to make it more and more! Bulgur is one of my favorite whole grains! I love how quickly it cooks up and how wholesome it is! Sounds tasty in this salad. I knew you would love this one girl! You would love this my friend! Now I want this salad AND tabbouleh! I love the flavor combination of this gorgeous salad! I love bulgur wheat but I don’t make it nearly as much as I should! This salad looks incredible. I am the same way – I go in spurts! Oh yummy!! This looks delish!! I love tabbouleh, but didn’t know the difference between it and bulger. Now I do! Your salad looks amazing! You had me at GREEK! OPA!! This might need to be my lunch….if I make it to the store today, that is. I love salads like this vs. mayo/yogurt based ones for BBQs and picnics. All of my favorite flavors!! Great salad!! I JUST made Kibbeh for my first time, which allowed me to also try bulgur for my first time. My oh my, I have been MAJORLY missing out because that stuff is GOOD! This sounds like the perfect way to bulk up a salad, so I don’t want to eat my arm off 5 minutes later! Pinned! Isn’t kibbeh the best?!? It’s probably my husband’s most favorite. Thanks girl!